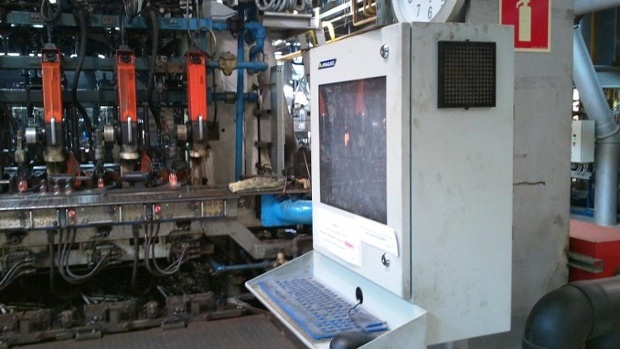 Integrating computers into an established manufacturing floor can be costly and time consuming. Need help and advice? 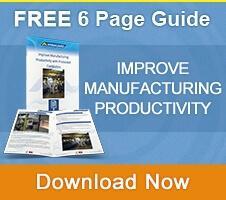 Follow our 5 point checklist for manufacturing floor computer integration. Making your manufacturing floor computer centric means you’re on the road to futureproofing your manufacturing process. You’ll be joining the ‘Internet of Things’ revolution – the computerization and connectedness of everything. 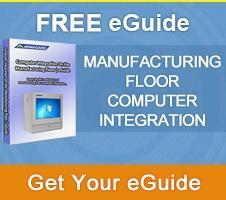 With computers playing more of a key role in manufacturing cycles, the need to get manufacturing floor computer integration right is a serious business. However, too many manufacturing plants have got computer integration terribly wrong with catastrophic consequences. The challenge many manufacturing plants face is that they’re trying to integrate modern computers into a manufacturing floor not designed to accommodate them. It could be a particular pain point of yours. 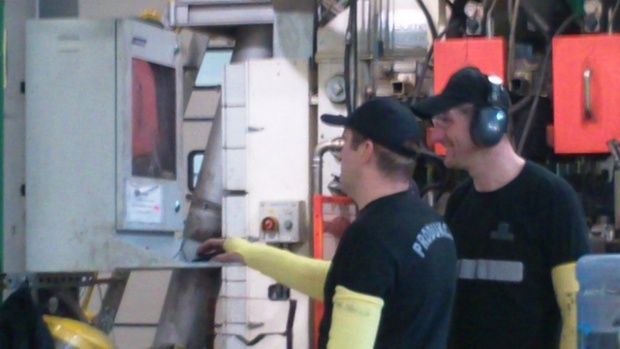 You’re not alone… some manufacturing floors still operate using paper-based systems. As an upgrade, due to cost issues and to minimize disruption, smaller manufacturing firms have got into the habit of introducing ‘typical, every day computers’ to the manufacturing floor. That in itself is a recipe for disaster. If you think your typical computer can stand up to the rigors of a typical manufacturing environment, they can’t. Your typical computer would struggle to survive on the manufacturing floor without protection. Having scrapped the old way of doing things, and with the manufacturing floor computer integration descending into a disaster, those smaller manufacturing firms end up back at square one - in fact, square zero. That’s a big price to pay. Then there’s the other end of the scale, those manufacturing plants that have purchased specialized pieces of computer kit that look like they could be used for a military operation. Firms spend thousands of dollars, only to realize that the system is never under their control. If they breakdown, manufacturing plants find themselves in a whole heap of trouble, suffering lengthy periods of downtime, huge financial losses and to top it off, they’re tied into hefty maintenance contracts having to pay for the privilege of repair or replacement. The secondary issue with such equipment is that they become outdated pretty fast as new technologies are introduced to the market. It’s much like thinking you’ve got the latest cell phone, but within months a new one is released and yours is inferior. Essentially, what starts out as a fancy way to carry out computer integration on the manufatcuring floor, suddenly becomes a cost drain. You will always be upgrading to stay on trend with the latest technologies. Make use of what you have – You might already own equipment that can be re-purposed for use on the manufacturing floor and that should be your starting point. Using existing equipment represents a huge cost and time saving. Choose your positioning carefully – Install computers where they will improve the efficiency of your manufacturing floor. Having decided to re-purpose existing computers, many manufacturing plants fall down by deploying computers in all the wrong places. Identify the damage threats – The typical manufacturing floor is synonymous with dust, dirt, heat and humidity – all of which are lethal to computers. The key to helping your computer network survive on the manufacturing floor is reducing the impact of the surrounding environment. Choose a solution with today’s needs in mind – You need a solution that slots into your current manufacturing process as it stands. With current projects to complete, a solution that causes minimal disruption and can ‘hit the ground running’ is vital to any manufacturing floor computer integration. Choose a solution with the future in mind – Equally as important as choosing a solution to suit the needs of today’s manufacturing floor, is bearing in mind tomorrow’s manufacturing floor. Technology is always changing and you need to be able to keep up with the latest trends in order to keep your manufacturing floor moving forward. Fall behind technology wise and you run the risk of losing your market share. Computer enclosures represent excellent value for money for the job they do. With the 5 point checklist in mind, industrial computer enclosures represent a long-term solution that can cater for the needs of computer integration on the manufacturing floor. The stand-out benefit of computer enclosures is undoubtedly the flexibility they will afford you and your manufacturing floor. In particular, an enclosure is the solution for today and tomorrow. Today, enclosures will allow you to accommodate any current equipment and ‘armor’ it up ready for manufacturing floor use. Even if you’re yet to buy computer equipment, the advantage is that you can purchase a ‘typical’ computer system for manufacturing floor use. The benefit of this is that your costs are considerably lower than investing in specialist grade computer kit. Equally, using any current equipment on the premises avoids the need to re-train staff for the use of new equipment. Keeping things familiar is certainly a plus point when it comes to integrating computers on the manufacturing floor. With the future in mind, in the event that computer equipment comes to the end of its usable life or needs upgrading for the latest tech, you can simply swap it out at your convenience. Installing specialist kit means you relinquish control because you will forever be reliant on the manufacturer to repair, replace or upgrade equipment. Enclosures can also be installed to suit the needs of your manufacturing floor, whether that’s on a wall or on a stand, providing protection that’s equal to, and perhaps even better than, that provided by high-end computer systems designed for the manufacturing floor. Reduce the risk of downtime. Planning a computer integration project on your manufacturing floor? Help yourself to the computer integration ‘Do’s and Don’ts’ guide, now.